If you are a forex trader who is searching for information on how to broaden your trading skills to include other financial instruments. We have compiled an all-inclusive CFDs guide that will educate anyone who is new to the market. Every currency quote commonly comes with a selling price on the left and a buy price on the right. The profit you make as a trader is the difference between the price you enter the market and the time which you exit the market. A CFD, or contract-for-difference, is a financial instrument or asset that lets traders make gain from price fluctuations rather than from actually acquiring an asset. It’s basically an agreement between two people to pay the difference between the current price of the underlying asset and the price it will be at the time the trade is closed. The underlying asset could be stock, index, FX pair or commodity. CFD is a derivative product which gets its pricing from the underlying asset it is tracking. Let’s assume that you want to trade the National Australia Bank (ASX: NAB) and the present ASX stock price was 50 dollars; then the CFD would as well be quoted as 50 dollars. The contract of difference on NAB will try to always replicate the price performance of the underlying stock. Standard stock trading and CFD trading are related apart from the fact that you are required to deposit only a small amount of money before the trade. Other minor differences between the two include CFD finance and CFD leverage. If you are looking to trade CFD, it is essential that you properly weigh your risks before you dive into the market. Can traders who are starting out trade CFDs? If you are just starting out as a trader, you may be wondering if CFD trading is suitable for you. The first thing you need to do before trading any financial product is to have a thorough knowledge of that product and how it works. Therefore, to trade a CFD, you must know the associated risk and what your benefits are likely to be if you start to trade the asset. Who owns the CFD or stock? When you trade Contracts for Difference, you aren’t really the owner of the physical stock. Also, you won’t be given a contract letter the way it works when doing a standard trading of shares. All you are doing is merely trading the price difference between the entry price and the exit price. To gain from short-term price fluctuations in the stock, index or commodity markets. To trade with the leverage offered by the CFDs. Sometimes traders have a leverage of 100 to 1 or even higher leverage when the trade involves Forex, Index and Commodity products. To serve as a hedge for your real share trading portfolio. A number of people make use of the CFDs for managing their risk instead of serving as a speculative trading opportunity. CFDs let you have access to the international stock markets from a single trading account. CFDs frequently come with a lower cost of trade commissions or cost of trade with a broker. For instance, brokers in Australia charge as small as 5 dollars to let traders access an Aussie Share CFD trade. CFDs allow you to take advantage of short selling. This implies the trader can gain from short trade opening if the position value falls. Alternatively, if your short trade price increases, it would put you in a losing situation. 7. A contract for Difference trading also gives traders access to dividends and come with no expiration time as in options trading. Trading CFDs comes with a broad list of assets to choose from the same way it is in options and futures trading. Popular assets traded as CFDs include stocks, commodities, and indices. Because they depend on the prices of an underlying asset, trading CFDs also exposes the trader to the market risks. Trading CFDs comes with leverage advantage. However, you also need to know that at the same time it exposes you to liquidity risk and may lead to margin calls. Trading CFD is not the same as spot trading because CFDs let you trade other financial assets in addition to currency pairs while in spot trading the trader only deals with currency pairs. The implication of this is that the factors that influence the market situation in forex trading like economic events, technical breaks and so on may have less influence when you trade CFDs. Options trading are more closely related to CFD trading. However, one of the main differences between trading Contract for difference and option is that options trading come with expiry dates while CFDs don’t. The amount a trader loses in options trading like CFDs is merely the amount of money paid in option premium. Who can trade Contract for Difference? 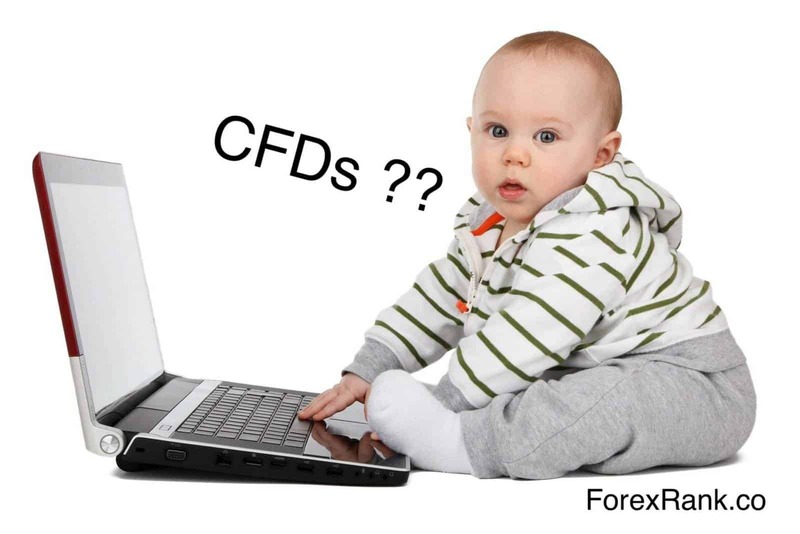 You can commonly trade CFDs as long as you are more than 18 years old, also other countries may have different age restrictions. However, you need to bear in mind that trading a leveraged product like CFDs are very risky as it can leave you with a loss that is much higher than the amount you began with. Thus, CFDs may not be a suitable instrument for everybody. • Practically anyone who wants to take advantage of price fluctuations in the financial market whether long or short. Your first step to CFDs trading is to decide on the financial asset you want to trade like the XAU/USD or UK 100 etc. Some brokers offer traders with CFDs across a broad range of global financial markets which includes forex, indices, commodities, shares, and treasuries. Going long simply means buying. You buy when you feel that the price of the CFD will rise. Alternatively, you can go short or sell if you think the asset price will fall. This step requires you to decide on the number of units you plan to trade. The value of a single CFD differs considerably. The price depends on the CFD instrument. Choose from a collection of stop-loss orders, which needs to include guaranteed stop-loss orders (GSLOs). GSLOs functions in a similar way to the standards stop loss orders apart from the higher premium. Using the guarantee stop-loss order ensures that the broker closes you out of trades at the exact time you set irrespective of the volatility of the market or gapping. The trader would be refunded the premium if the GSLO is not implemented. But this guarantee is not with every broker, it is best to find out if your broker offers Guaranteed-stop-loss orders. After placing your trade order, the next thing you need to do is to monitor how it is doing. Keep an eye on your open positions and remember to watch your stop orders or take-profit orders. This enables you to track your real-time profit or loss. Bear in mind that your losses in CFDs can be more than your deposit because of the high leverage. Some brokers offer Negative balance protection for these rare and unforeseen situations. This is the last step of your CFD trading. If you don’t automatically close your trade with either stop loss or take profit or if for any reason, it is not initiated by the system, manually close your trade and exit the market when you deem necessary. Bear in mind that trading any asset in the financial market is risky. However, engaging in derivative trading like CFDs may be a little trickier than a beginner trader could handle. Check what your local regulatory body rules say on Contract Of Difference trading before you trade. In addition, check the broker’s terms and conditions about commissions, rollover, and computations. Find out if they have other trading costs. None of the two methods is the right or the best way to trade CFDs. Each of the trading methods comes with pros and cons. You may wish to inquire from fellow CFDs traders to check what their preference with regards to the trading method and their reasons for preferring a trading method over the other. Most professional traders, however, trade with a combination of the two methods. Once you have gone through these steps, done the needful and got a reliable CFD broker, you are already on your way to broaden your financial trading asset and skill set. Get the broker’s demo account to get a better knowledge of how the platform works before committing your real money. Remember CFD leverage is a double edged sword. This implies it is only great for a winning trade but slays you if you are in a losing trade position. The highest risk of trading CFDs is the fact that it can make you lose more money than you invested.